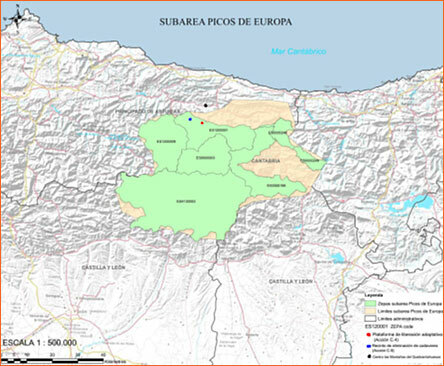 The short and mid term survival of the Bearded Vulture (Gypaetus barbatus) in Spain is conditioned by three factors: firstly, its low population, which does not reach 600 specimens; secondly, its highly restricted geographical distribution, limited in its entirety to the Pyrenees; and thirdly, its difficulty in successfully colonising new territory. These factors convert the Pyrenean population, the last and extremelyimportant genetic reservoir of the bearded vulture in Europe, into one vulnerable to demographic and stochastic phenomena. The species is included in Annex I Birds Directive, in the preferred LIFE+ list, and cataloged ‘In danger of extinction’ in the Spanish Catalogue of Endangered Species. To establish a set of good practices in order to encourage the recuperation of an extinct population, in line with work carried out over recent years. To reinforce the idea that the conservation of a species is linked to local development and the maintenance of biodiversity and ecosystemic services. To highlight the inter-territorial links and common work objectives of public administration and civil society within National Parks in order to achieve the recuperation and conservation of an endangered species. To demonstrate that the technique of behavioural learning by natural imprinting can be an efficient tool, thereby complementing other tried and tested techniques. To use ecotourism as a powerful means of support and participation in biodiversity conservation projects. 4. To draw up the Regional Plans for the Recuperation. 7. To apply the assisted breeding protocol. 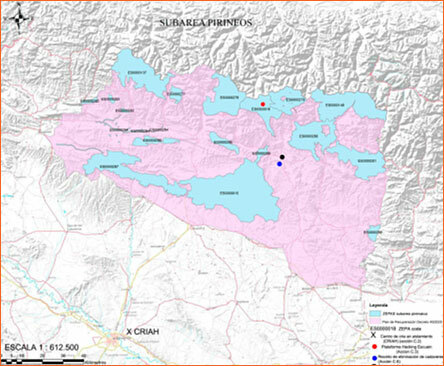 Identification of 15 bearded vulture reproduction areas. 30% improvement in adult reproduction and survival rates. Drawing-up of 3 Bearded Vulture Recuperation Plans. Application of natural imprinting behavioural learning techniques. Elaboration of natural imprinting behavioural learning technique application directives. Release of 3/6 bearded vulture specimens per year. Adaption of areas for the elimination of carcasses, providing 4.500 kg of carrion per year. Creation of 1 anti-poison patrol to reduce the presence of poison in the target area. Education and training of 250 agents within the area whose activity is directly related to the conservation of the species. Creation of 1 new ecotourism product based on the content, results and facilities of the project, attracting at least 2000 visitors. Education and training of 390 agents related to the ecotourism activities. Involvement of 40 schools and 1000 pupils in the ‘Bearded Vulture Schools Network’. Annual reports on the evolution of ecotourism and biodiversity product supply and demand in Spanish National Parks. Project Impact Report on the local economy and the restoration of ecosystemic services.